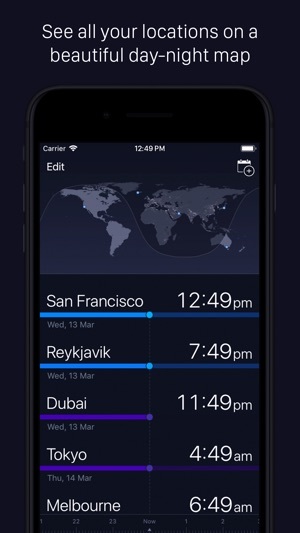 - A beautiful day-night map for times at-a-glance. - Swipe left or right to shift time and instantly update your locations. 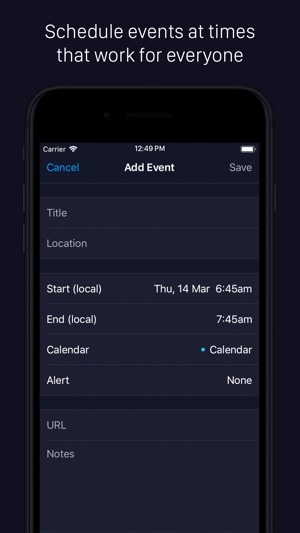 - Features easy calendar integration to schedule events that work for everyone. - Select from hundreds of world cities. Perfect for remote workers and digital nomads! 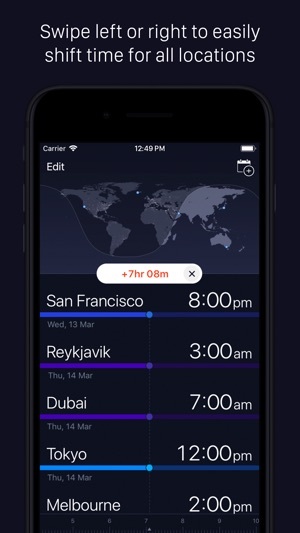 As a digital nomad I’ve always been surprised at the lack of scheduling apps that deal with multiple time zones. Stop searching on google for local times every time you need to schedule a meeting. Not only does this app do the job but it also looks incredible.